Shop for large floor cushions. In a search for Bohemian floor cushions you’re bound to feel overwhelmed with all the options. 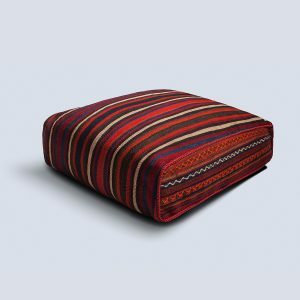 We understand that you’re looking for unique Bohemian floor cushions that match your living space. Each floor cushion cover is our own creation, with its own identity. 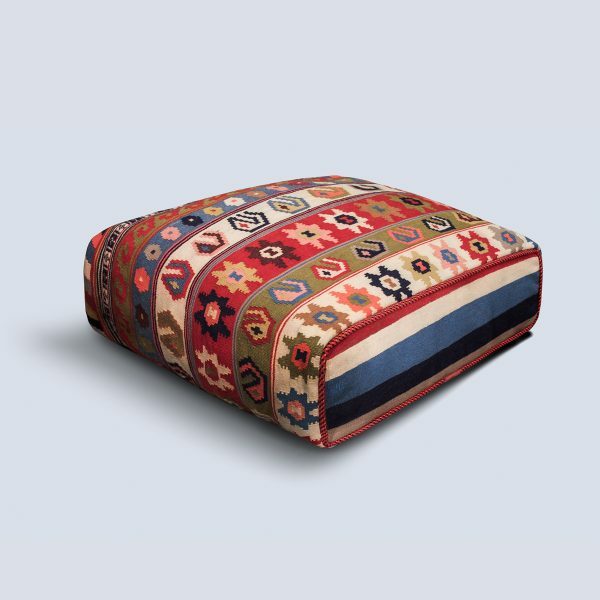 Each design will be slightly different, so your floor cushion cover is one of a kind, like this Sophia Vintage Kilim Floor Cushion Cover. Dress up your décor with this beautiful cushion floor pillow. Sit on it on the floor. Sleep on it on the couch. And forgive pooch if it doubles as a ‘pets bed’, too. This mandala floor cushion will add dimension to any space. You’ll feel the quality of this beautiful piece. It’s the perfect size to put in a number of different rooms. If you love earthy colours and unique patterns, this cushion cover will match your interior. You don’t have to travel to get this statement design piece. Don’t type in ‘Bohemian floor cushions’ and go on a wild goose chase. When you spend as much time in your living room as you do, you want cushions that are comfortable and match the ambience of the space. This product does both. If you want to add texture and colour to your home office, kitchen bar or undercover table setting, consider this vintage beauty.